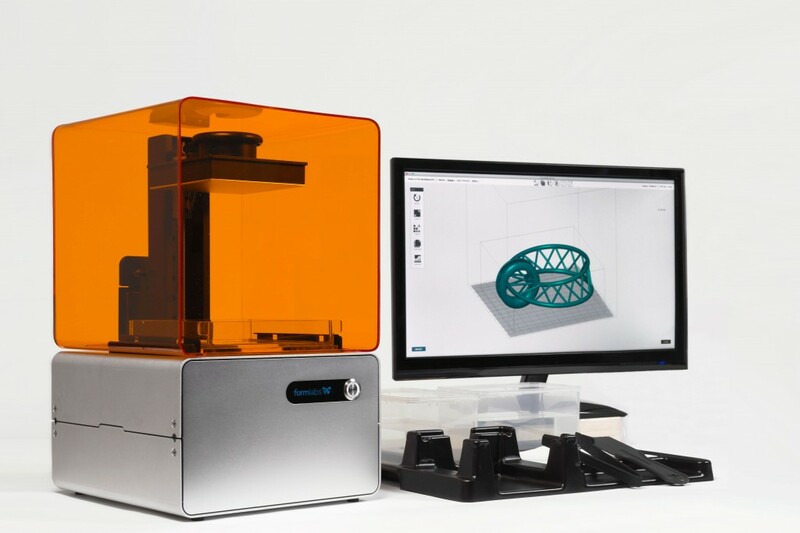 Form 1 is the first high resolution 3D printer in the market by Cambridge, Mass.-based Formlabs. 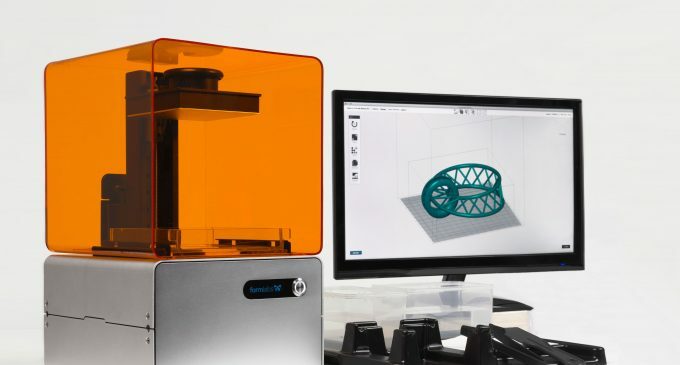 It is the highest funded 3D printer on Kickstarter in a price of $19 million Series A. It uses a UV laser beam which is routed by a mirror galvanometer system to selectively cure a liquid photopolymer film to form each and every layer. It is a gorgeous machine which is comprised of aluminium chassis, bright orange cover, OLED display and single-button interface. It also has two cable connections such as one power and one USB. The process involved in taking print is simple as it looks. All you need to do is simply load the file and hit the print to take the 3D print. It has offered with three different resolutions such as 100, 50, and 25 microns. You can use the lowest resolutions to take lots of prints. Once you have done with the printing, clean the kit which will have some bit of work to do it so. Features It is well suitable for those Designers, Architects, Professionals, and Makers. It is featured with the perfect software which offers fine options for you to work with and make it more consumers friendly. At the same time, 3D printer need little maintenance for the 3D printer and show attention while setup or calibrate it. Taking in a 3D printer in the institution helps you to hasten up the production process and enable you to redeem the cost in the same. Performance It works by shining a laser on to the surface of metal throughout the entire printer. Nevertheless, Formlabs has created a modern marvel in its 3D printer. The 3D prints you can find will be absolutely distinguishable and you can find any fault in Form 1. You can have a thoroughly enjoyable user experience and fast, you can get high quality prints as well. Try it out!